Posted on April 12, 2013 April 12, 2013 Categories hotness, really? 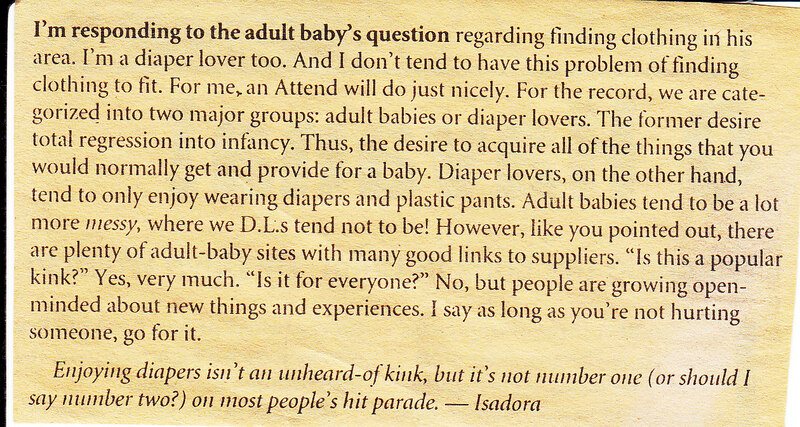 “For the record, we are categorized into two major groups: adult babies or diaper lovers.” Well, DUH. From an “Ask Isadora” column that ran in the SFBG many years ago.